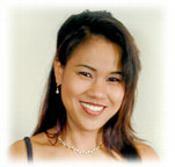 Sombat Saenguthai is well known on the Big Island for her exotic Thai cooking. preparing traditional Thai meals for her family of 14 at the young age of seven. Cost-U-Less in Hilo and the Suisan Fish Market in Hilo. Sombat's Fresh Thai Cuisine has been voted "Best Thai Food"
by the readers of the Hawaii Tribune Herald for 2007, 2008, 2009, 2010, 2011, 2012, 2013, 2014, 2015, 2016, 2017, 2018. - Mahalo! a family or business party at our restaurant. SOMBAT'S FRESH THAI CUISINE RESTAURANT. Located at the Waiakea Kai Plaza in Hilo.